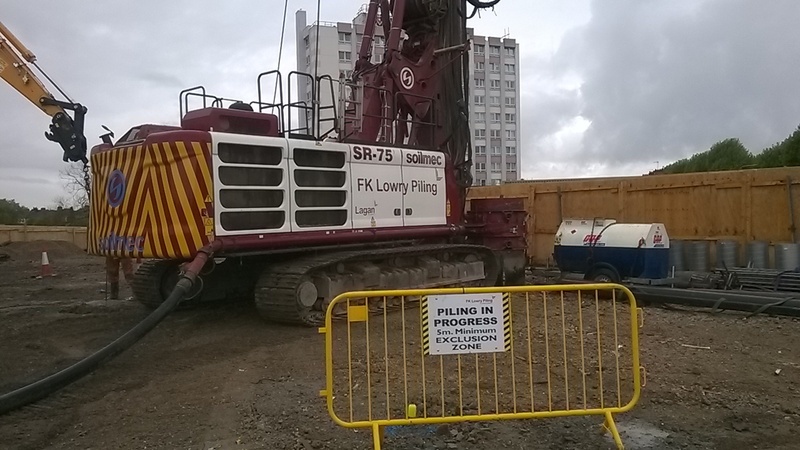 FK Lowry Piling completed the design and installation of 235 No. Bored Displacement Piles (BDP) for a new Shurguard Self-Storage Facility in Romford, Essex. 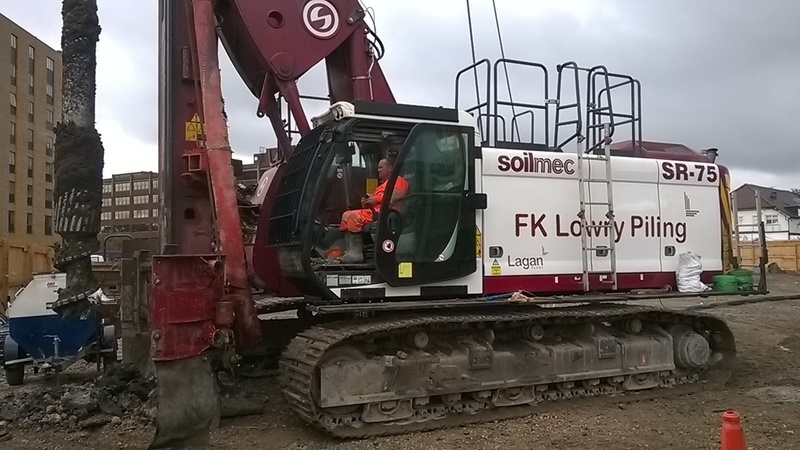 FK Lowry Piling were subcontracted to Appain Construction Ltd to undertake the works using their Soilmec SR-75 Piling Rig and installed 450mm diameter BDP’s to depths up to 12m below existing ground levels for working loads of up to 600kN. The underlying soils consisted of Made Ground/Fill, underlain by Medium Dense-Dense Sands & Gravels before firm-stiff Clay was encountered at depth. Pile design was verified by Preliminary & Static Load Tests. Shurgard operates 220 self storage stores in 7 countries in the Europe (Belgium, Denmark, France, Germany, the Netherlands, Sweden and the United Kingdom) and over 2,200 self storage stores in the United States providing individuals and businesses with extra storage space.